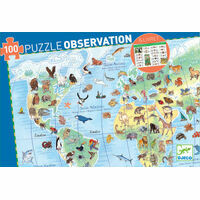 Discover the animals around the world while having fun! 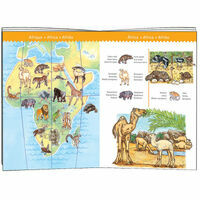 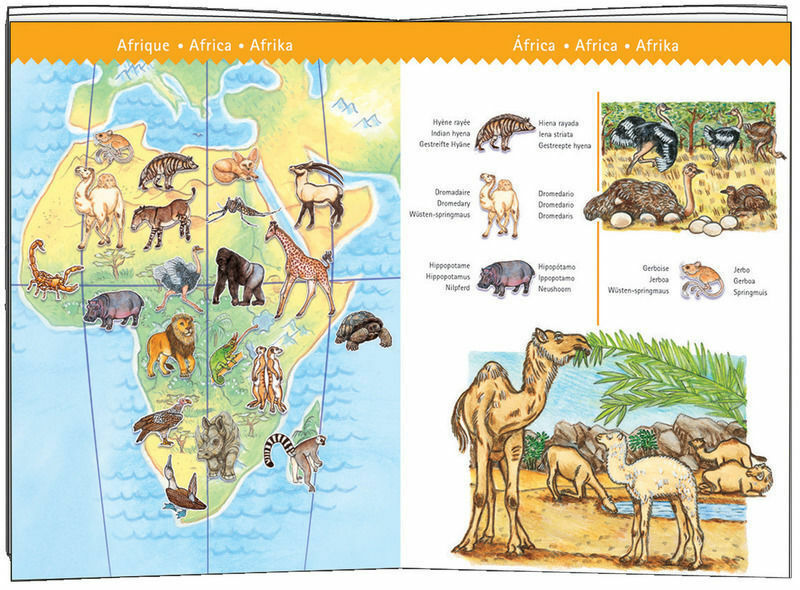 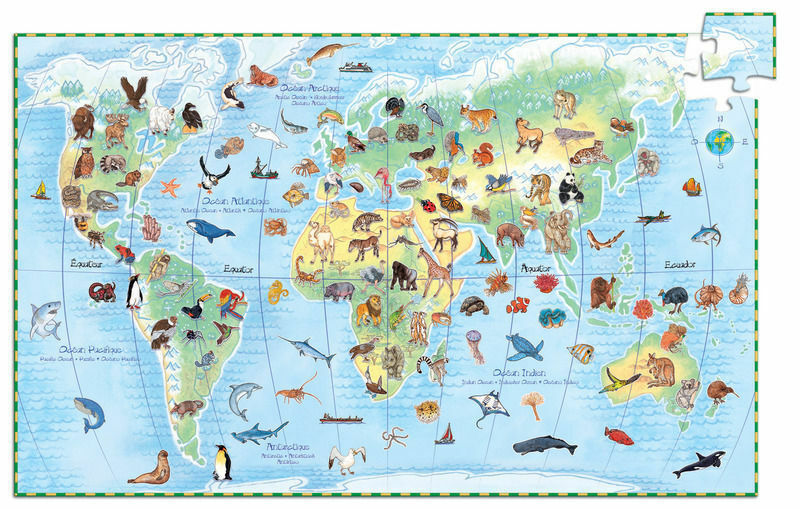 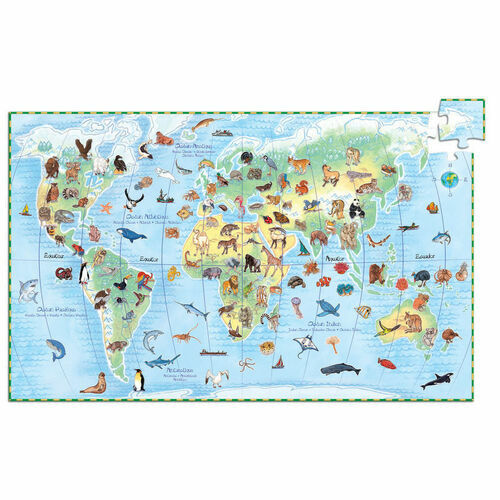 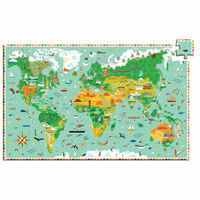 A 100 piece puzzle, a poster and a booklet to get to know the name of the animals and regions of the world where they live. 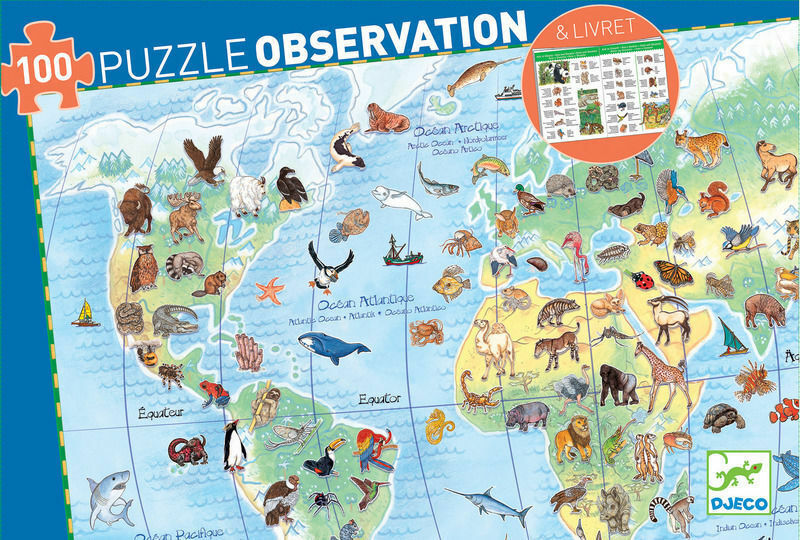 Puzzle Measures: 61 x 38 cm.